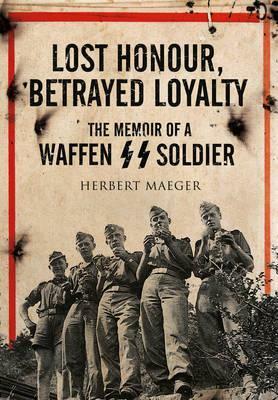 This is an unrivaled account of one manâ€™s service in the elite Waffen-SS Liebstandarte division, principally on the Eastern Front. The author, an 18-year old Belgian, was blackmailed into volunteering for the Waffen-SS in 1941 to save his mother from a concentration camp. After enduring the MG harsh training with the Leibstandarte SS Adolf Hitler (considered by some to be a worse experience than the fighting front), Maeger went on to be selected as a front-line driver in Russia. He saw combat at Kharkov and at the legendary battle of Kursk. In 1944 he was transferred out for training as an SS paramedic, but after two months was sent against his will for SS-officer training. Overheard making a defeatist remark, he was sent to the notorious SS penal division Dirlewanger on the Oder front, where he survived the horror of the Halbe pocket. On 1 May 1945 he was captured by the Russians near the Elbe. He served at the prison camp infirmary as a volunteer which won him the admiration of the Russian female doctor and with her help, he gained his early release the same year.